Ian over at our sister sight RSBFS beat me to it, but because it is such a great bike I wanted to share it over here as well. Really, what can be said about a Yamaha TZ750 that hasn’t already been said. I dominate bike ridden by a who’s who of motorcycle racing. Lists of wins all over the world, leading a field of blue smoke bikes which dominated a decade. 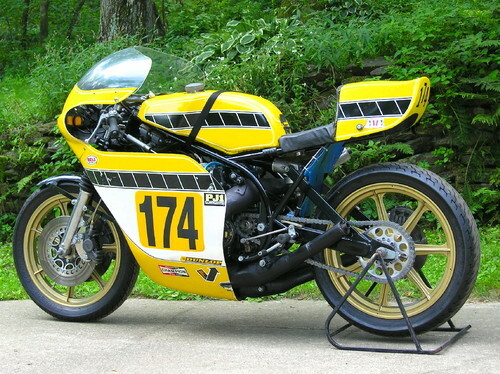 This 1975 Yamaha TZ750 would allow you to be part of the history. 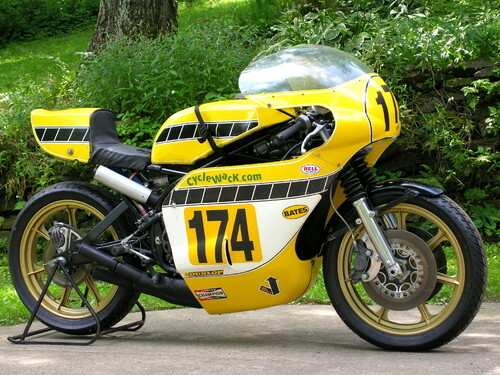 This Historic TZ750 was built/modified as you see it back in the mid 1970’s to be a top contender at Daytona, and was raced successfully in the 1976 & 1977 Daytona 200 by Cory Ruppelt. 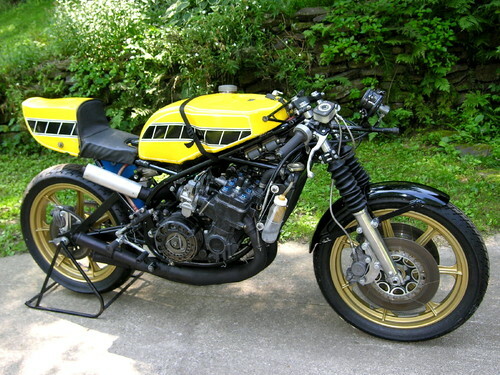 He finished in the money on this bike in 1976 being one of the few monoshocker 750’s entered; only Factory works OW’s and few privately modified bikes were monoshock equipped, as the Production 750’s were only offered as twin-shock until 1977. Cory was one of the top pro-class privateers, with 5 Daytona 200’s to his name, with a top finish of 14th in 1979. As with any Grand Prix level racing motorcycle the power numbers are what you can make out of it. I have seen numbers like 140hp at 10,000 rpm. When the TZ first came out, they were air cooled and smaller in displacement. Development in tuning pushed the power higher, and with the addition of water to the system, power increased some more. As built by Ruppelt to his personal standards, this was one of the most competitive TZ750’s of the era. This unique machine was raced until 1979, then hidden away in a private collection until being resurrected in 2009! 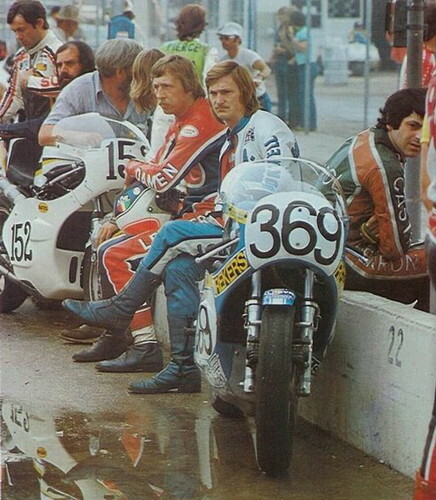 Bike #152 in the picture is this TZ750 at the Daytona 200; photo courtesy of Jack Middleburg. Check out the Daytona 200 info & pics at JumpingJack.nl. C&J built 4 frames for Erv Kanemoto in the 70’s; this is the 5th of 5 total TZ750 C&J road race frames constructed. C&J was one of the most highly regarded race winning builders, known for quality engineering and construction. Except for the Marvic magnesium wheels with Lockheed calipers, the Vesco fairing, and period USA Mack silencer chambers (still considered excellent upgrades), the rest of the bike is basically a 1975 TZ750B. The motor and monoshock service is recent, and the race compound Dunlops and RK racing chain are new; the Marvics were crack tested and refinished in 2010. The rest of this Kenny Roberts Replica including paint is “as-raced circa 1978” and still in exceptional condition for being 34 years old. Since we are all just window shopping, we wish for more photos. The seller takes only the minimum number showing both sides and one without the fairing. Closer up pictures would give you a better idea of the overall condition.